Creating Showcase Kitchens for Everyday Use! Free Silestone® Quartz Countertop with Full Kitchen Purchase! 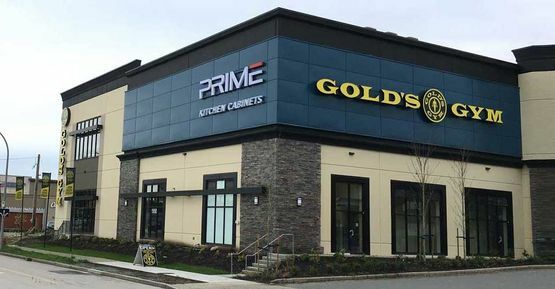 At Prime Kitchen Cabinets in Port Coquitlam and Langley, we take pride in the quality and affordability of our products. If you are looking for beautiful kitchen cabinets, we have everything you need, however, we specialize in a lot more than just kitchen cabinets at our convenient Port Coquitlam and Langley locations. We supply and install cabinets, countertops, vanities, and more to homeowners, contractors, developers, and business owners throughout the Lower Mainland and the Fraser Valley. Plus, we offer timely manufacturing services. Come shop for your kitchen cabinets in Port Coquitlam and Langley! You can call, email, or visit us today to learn how we can help with your home improvements! Come visit us in store to find out what designs and materials we have to bring your dream kitchen to reality. We have a state-of-the-art Virtual Room Builder in store so you can see with your own eyes what your kitchen, bathroom, or closet will look like with any material and/or design we have available! Come on by and create your photo-realistic, custom-generated room simulation or just have a chat with our specialist team! We’ll give you a fully-detailed, no-obligation quote on exactly what you see in our photo-realistic simulator. No obligation, no pressure, just helpful advice and the best value in BC, guaranteed! Our company was created with a simple, but extremely important mission in mind: to create and bring beautiful, modern, (and affordable!) designs into the kitchens, bathrooms, closets, and living spaces of every home in our local Vancouver communities! …we’ll be there to show you how and help you make it all a reality. We use the cutting edge technology of our Virtual Room Builder so we can be 100% sure you’ll love the way your new room will look – because you’ll see it with your very own eyes – before a single penny is paid or even one screw is turned! Come by the showroom with or without an appointment, and let’s find out what we can create together – because you deserve to live in a beautiful home based on your ideas and brought to photographic life by our designers, and of course, Virtual Room Builder. Get a fully-detailed, no-obligation quote on exactly what you see in our photo-realistic simulator, using your room, our countertops, and Virtual Room Builder! Lifetime Warranty on all our manufactured cabinetry. Please contact us for more details. Silestone Countertops come with a 25-year warranty. Please contact us for more details.